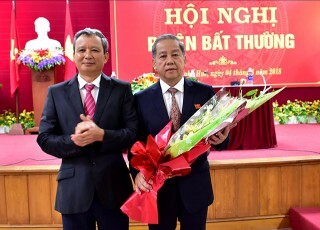 On the afternoon of June 4, the members of the 7th provincial people's council, term 2016-2021, elected Mr. Phan Ngoc Tho, Deputy Secretary of the Provincial Party Committee, Head of the Provincial National Assembly Delegation as Chairman of the Provincial People's Committee for the 2016 - 2021 term. In the supervision session of the implementation of the policies and laws on management and use of foreign loans in the period of 2011-2016 held at the Provincial Department of Agriculture and Rural Development on the morning of April 10, Deputy Head of the National Assembly Delegation of Thua Thien Hue province, Mr. Nguyen Chi Tai assessed that the implementation of the projects using foreign loans were well implemented and promoted their efficiency basically. On the afternoon of April 2, Member of the Provincial Party Standing Committee, Head of the National Assembly Delegation of Thua Thien Hue province, Deputy Permanent Chairman of the Provincial People's Committee Phan Ngoc Tho had a working meeting with Mr. SHIBASAKI Eji, senior advisor of JICA volunteer program. 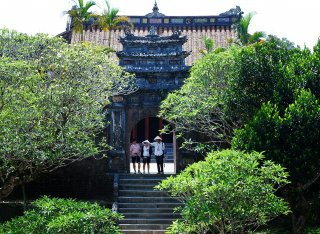 From March 27 to March 30, the delegation of the National Assembly Committee for Culture, Education, Youth, Adolescents and Children has supervised the implementation of legal policies on the protection and promotion of Hue cultural heritage values. 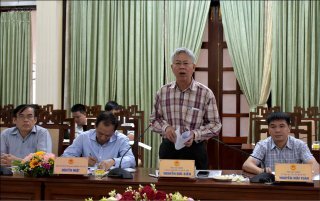 This was the speech by Mr. Nguyen Duc Kien, Deputy Chairman of the National Assembly Economic Commission, Head of the National Assembly delegation during the working session with the provincial leaders on the implementation of the socio-economic development tasks in the first eight months of 2017 and some issues related to the construction investment project of Ho Chi Minh road through Thua Thien Hue on September 20.